→ A new web, as an interactive and social web facilitating collaboration between people, using encryption and the Blockchain technology – This encrypted web, the ‘Crypto-Web’, the ‘Blockchain-Web’ or simply the #BLOCKWEB 0.0, (2009-18) and Blockweb 1.0 (2017-? ), if you are an #ADMPer! The first World-Wide Web was and still is, an incredible information network (‘Information Highway’) with its own cloud for Data storage and Social Media for faster interactions with the public. –> It was therefore, mostly a ‘Dumb‘ information network! Meaning: It has ‘little Artificial Intelligence’, just ‘Dumb Users Algorithms‘, working behind the scene. The next iteration of the web, will be setup on top of this ‘Dumb web’ and it will rely on the #Blockchain, to track all interactions between its users, whilst allowing them to transfer value. This crypto-web, is also underpinned by the 10 years global use case that has been the rise and rise of the #Bitcoin technology, as per the Satoshi Nakamoto protocole. –> It is the ‘Internet-Of-Value’ that will protect our Data and value transfers accross this new network, called the #BlockWEB ! She is smart, some say even ‘Brillant’. → She is the powerhouse behind a movement created with another set of dynamic technologists, all over the #AfrotecH (African Technology landscape). Now, without reaching to her Telegram handle, can you guess who she might be?? #ADMP1: Hello, Doris! Can you please, introduce yourself ? #OD : My name is Ojuederie Doris, Founder of Blockchain African Ladies: I am an ardent blockchain lover and preacher and have been in the blockchain space for over 6 years! Add to that, a blockchain certified expert, a serial entrepreneur with unique expertise on business Development and strategic marketing. I Am a CEO, and also the Founder of www.blockchainladies.africa a non- governmental educational forum that is centered around educating African women about the low hanging fruits of the Blockchain technology. I have been at the forefront of blockchain education in Africa and have Organized several Events on Blockchain and Investment with hundreds of people in Attendance! #ADMP2: #DANG! #Impressive! What is Your Concept? #OD : Presently i am at the forefront of blockchain education with African women…. 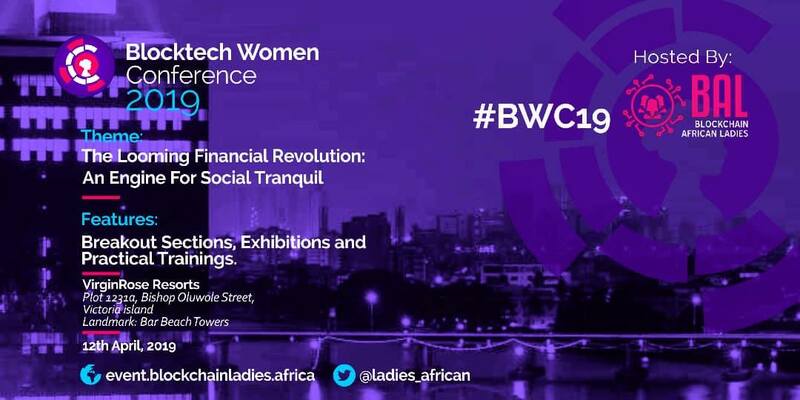 Let me rephrase it: Like i said earlier, www.blockchainladies.africa (BAL) teaches women in Africa how to have access to the low hanging fruits of the blockchain. #ADMP CHATBOT(Popping in): Could the #Blockchain impact other women, the way it impacted, you ?? #OD: Ooh yeah…And i personally believe that blockchain is freedom for the African Women, and i see a serious gender divide with this emerging technology which has caused just a few or a handful of women participating. Hence in Blockchain African Ladies we educate African women deeply through our various conferences, workshops, webinar, online trainings ….etc about the blockchain technology and we train and encourage women to develop start-ups….which we stand to support as an Organisation because its founded by a Woman. #ADMP: What about ‘adoption’? –> When a technology is used by a significant amount of people, meaning ‘A huge chunk of the population’! Can women help in that field? #ADMP CHATBOT: #Lol! It’s not exactly as if women didn’t know a thing or two about raising and educating peoples, right? #OD: That is correct! …And i also believe that by having more women participat …we will ultimately be more closer to h Adoption numbers’ rethe mbeAdoption. #ADMP: SHhhhT! Hence the conference then? Where we are having the top global Female Founders and Stakeholders around the World, coming together to inspire other women and train participant in basic blockchain skills. #ADMP CHATBOT: Thanks! :)) #GirLPower! #ADMP CHATBOT: Please, Gives us the TOP5 Themes of this Évent? #ADMP4: How many women do you have in your Forum? You do group therapy ? Do you have a Facebook or Telegram Messenger Group with your community members? #OD : We, we… have over 700 women in our forum. And, Yes we have facebook and Telegram groups! #ADMP5: We covered “Paris Blockchain Conference 2018 ” in Paris. Have you heard about this event? We’d be delighted to support you in any way, shape and form! What’s the Hashtag of your évent please? #OD : Yes, i heard about the Amazing Paris Blockchain Conference and know a few persons who attended from Nigeria. #ADMP ChatBot : #GirLPower..Power..Power ! #OD : Whoaah! Its Amazing to know about this! #ADMP6: How to Become a speaker at #BWCLagos2019? #ADMP7: What are the TOP certifications in Blockchain you would recommend to anyone willing to get as well educated as you are ? #OD: Well, for me, there is no such thing as Top blockchain Certifications….Because the technology is still evolving and we are still discovering it. Although, having said THAT! … You can get certified on the blockchain like i am certified as a blockchain expert, by the Blockchain Council … Because of the fact that I’ve had a certified training with them. Check the great University of Nicosa in Cyprus, in order to get trained and be certified. I am hesitant with it, because in the ‘Space’, the ‘Crypto-space’, the ‘Blockchain space’ or whatever you might want to call it! → We’ve also had soooO many people who have found solutions, and are indeed solving Major problems on the blockchain….and seriously, they do NOT have any certifications, at ALL !! 4. #DISTRIBUTED LEDGER TECHNOLOGY ? → Agrile Ledger is solving major problems in Agricultural Food supply chain….using the blockchain. Hence what we are really looking for is people with experiences who have a great understanding of how the blockchain technology works! #OD: First, to Women around the World, Its important to note the time, era and age we are, and its significance. We are at the Fourth Industrial Revolution. (4IR) we are at a digitalised age. → The Age of Information! #ADMP CHATBOT: Waouw! That’s a strong statement!! #ADMP9: ‘SHhhT!’ To end this discussion…(Calmer) Denise…please explain us why would the #Blocktech means ‘Freedom for the Afro-Woman, or indeed any women, or men? #OD: Correct! #Because its self empowering and have the ability to create Financial inclusion!